Extension points added for Generic Text Editor A new extensible Generic Editor has been added which makes it easier to implement an editor for new languages or new content types. It reuses the existing Eclipse editor infrastructure. The generic editor can be extended using extension points instead of implementing an editor to supply required functionality. Those new extension points receive as arguments regular Platform classes (IPresentationReconcilier, ITextHover, ICompletionProposalComputer) to add behavior to the generic editor. No new Java API is necessary. The above example shows that it is relatively simple to supply the rules for syntax highlighting. The generic editor picks-up those through the extension points. An extension point to associate existing editors and content-types The extension point org.eclipse.ui.editors can now receive a new editorContentTypeBinding child element which allows to define binding of an existing editor for an existing content-type. CompositeImageDescriptor HiDPI-ready The ImageDescriptor and CompositeImageDescriptor classes in org.eclipse.jface.resource are now fully ready for HiDPI images. In Neon (4.6), only ImageDescriptor#createFromURL(URL) supported high-resolution images. Clients that use DecorationOverlayIcon will get HiDPI support for free. Subclasses of CompositeImageDescriptor will have to update their implementation of #drawCompositeImage(int, int) to use the new #drawImage(ImageDataProvider, int, int) method to draw the elements of the composite image. Hint: Use CompositeImageDescriptor­#createCachedImageDataProvider(­Image­/ImageDescriptor) to create an ImageDataProvider. To calculate the width and height of the image that is about to be drawn, you can use CachedImageDataProvider­#getWidth()/­getHeight(). These methods already return values in SWT points, so that your code doesn't have to deal with device-dependent pixel coordinates. Update in API for decorating images The org.eclipse.jface.viewers.DecorationOverlayIcon class has received a new constructor that allows to more easily define decorated images based on an ImageDescriptor rather than Image. This allows to prevent API adopters to deal with creation and disposal of the underlying resource when using ImageDescriptor. New API for controlling build order The org.eclipse.core.resources.builders extension point now allows extensions to influence the order in which projects are built by supplying an implementation of IDynamicReferenceProvider. This replaces the IProjectDescription#setDynamicReferences(IProject) API, which is now deprecated. Asynchronous content-assistant A new constructor org.eclipse.jface.text.contentassist.ContentAssistant(boolean asynchronous) was added. An asynchronous ContentAssistant triggers computation of completion proposals in the background and doesn't block the thread invoking the completion. As a result, it will prevent the UI thread to freeze when a completion proposal computer takes too long. This supports the same API and methods as the usual ContentAssist, so shifting from synchronous/blocking ContentAssistant to asynchronous one only requires instantiating the ContentAssistant as asynchronous. Note that as the computation now happens in background, the IContentAssistProcessor attached to an asynchronous ContentAssistant must not require the UI Thread; any IContentAssistProcessor computer requiring the UI Thread will need to be modified in order to be used with an asynchronous ContentAssistant. Another new API is ContentAssistant#addContentAssistProcessor(IContentAssistProcessor, String), which provides a way to directly add multiple processors to one content assistant. The generic and extensible editor has been switched to use this asynchronous ContentAssistant. Stable sorting in viewers based on ViewerComparator The org.eclipse.jface.viewers.ViewerComparator now ignores decorations from a DecoratingLabelProvider during its sorting. For example, if the EGit team provider is used, it prepends "> " for changed files. This additional "> " is now ignored. The goal of this change is to eliminate java.lang.IllegalArgumentException: Comparison method violates its general contract! that could occur when label decorations were updated in the background. For now, you can disable this fix by setting the system property eclipse.disable.fix.for.bug364735 to true. This temporary system property is planned to be removed unless issues with the new sorting are discovered. Reduced performance impact of very frequent progress reporting from background jobs When bad code was calling IProgressMonitor#setTaskName(String) very frequently in a background job, the execution was heavily slowed down due to this reporting. A workaround has been added to the jobs framework that throttles processing of excessive task name updates. Performance tests have shown 2-3 times faster execution times for pathologic examples. Application model allows toolbar definitions for parts and perspectives The application model has been extended to support the definition of toolbars (via trimbars) for parts and perspectives. This simplifies the implementation of a common requirement in RCP applications. You can now define toolbars specific to a perspective and toolbars rendering within the part area via your custom renderer. Currently, the default Eclipse renderers do not use these new elements. Separation of DI extension annotations and supplier The annotations specified in org.eclipse.e4.core.di.extensions and the corresponding ExtendedObjectSupplier implementations have been separated. The annotations are still available in the org.eclipse.e4.core.di.extensions bundle. The ExtendedObjectSupplier implementations have beend moved to the new org.eclipse.e4.core.di.extensions.supplier bundle. This makes it easier for platform adopters to change the default implementation by providing a replacement for the supplier bundle. For plug-in based products this means that the new org.eclipse.e4.core.di.extensions.supplier bundle needs to be added the list of included plug-ins. Feature based products should not notice the split. Note: As part of the re-organization, org.eclipse.e4.core.di.extensions.EventUtils (only intended to be used for internal testing), was moved to org.eclipse.e4.core.di.internal.extensions.util.EventUtils in the new bundle. @Service annotation available in DI extensions The @Service annotation has been added to org.eclipse.e4.core.di.extensions. You can use this annotation to get OSGi services injected by supporting additional service specific features like getting services with higher service ranking injected automatically, to get the list of services injected for the given type, and to filter for a specific filter by providing an OSGi LDAP filter. Dependency injection for Eclipse 3.x views available You can now use dependency injection (di) in your Eclipse 3.x. views. 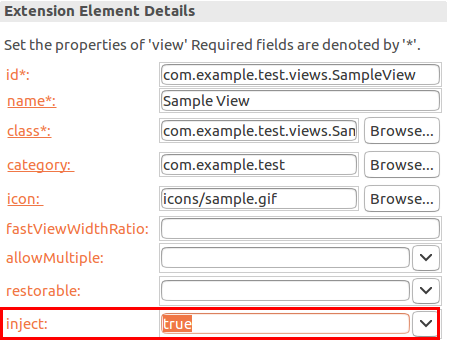 You can enable this for a view via the new inject flag in the org.eclipse.ui.views extension. Declarative services implementation replaceable In platform bundles, the bundle dependencies to org.eclipse.osgi.services have been replaced with the necessary package imports. Mostly org.osgi.service.event needed to be added to the imported packages. This was necessary to avoid a uses constraint violation when replacing org.eclipse.equinox.ds with org.apache.felix.scr. Imperative Expressions You can now define visible-when expressions for menu items and tool items in an Eclipse 4 fashion by using ImperativeExpressions rather than CoreExpressions. ImperativeExpressions reference a POJO class with a method being annotated with the new @Evaluate annotation. The tracking property causes to track the values which are injected so that the visible state will be evaluated on eclipse context changes, e.g, when the "myValueToBeChecked" value in the context is changed, the visibility check will be run once more. 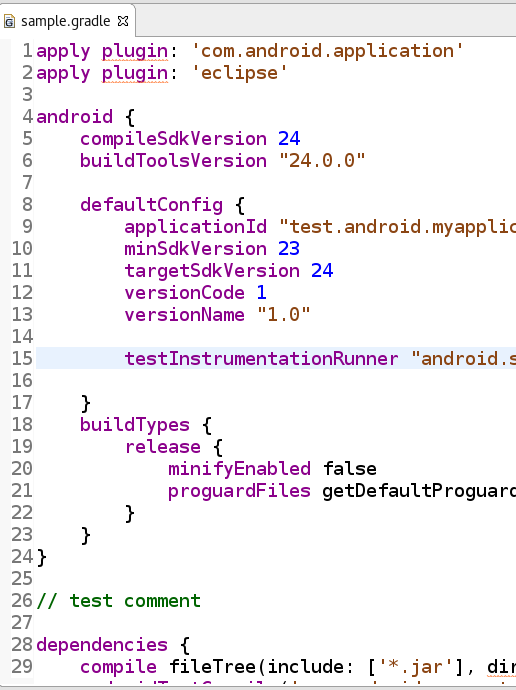 In the Eclipse Platform/SDK builds that are run on Hudson, the PNG files will be saved in a directory that is accessible via Console Output Logs on the Test Results pages. Debugging test timeouts In bundle org.eclipse.test.performance, there's a new API that helps debugging those pesky tests that are freezing / hanging / DNF ("Did not finish") in a remote Hudson build, and you have no clue why, because they always pass locally. 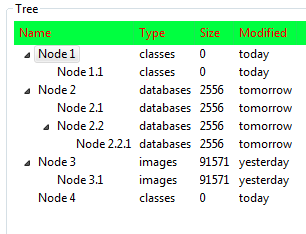 This will log the start of each atomic test contained in the suite to System.out, and it will try to collect more information after a timeout (stack traces, screenshot). And it will even try to throw an exception in the main thread, so that other tests can proceed. See the Javadoc for configuration options. New Declarative Services Implementation supporting OSGi R6 The previous release of Equinox only supported the OSGi R5 specification for the Declarative Services specification. With bug 501950 the Apache Felix Declarative Services implementation (org.apache.felix.scr) is now used as the Declarative Services implementation in the Platform and Equinox. This implementation fully supports the OSGi R6 Declarative Services specification. The Equinox bundle (org.eclipse.equinox.ds) is still included in order to configure and start the Felix SCR bundle but the Equinox Declarative Service implementation code is no longer shipped within the org.eclipse.equinox.ds bundle. 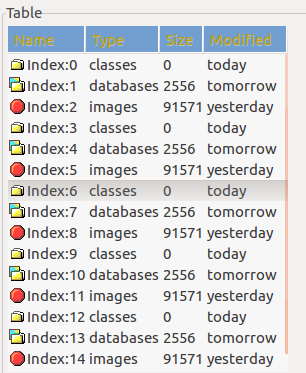 The Equinox bundle org.eclipse.equinox.util is no longer needed for the Felix Declarative Services implementation. Note that org.eclipse.equinox.ds automatically sets ds.delayed.keepInstances=true, which avoids failures in existing clients of Equinox DS that assume that component instances are not deactivated when their use count goes to zero. Several plug-ins define Provided Capabilities metadata You can now rely on OSGi's Require-Capability metadata in your Eclipse-based application for org.eclipse.equinox.event and org.eclipse.equinox.cm as they now provide the corresponding osgi.service capability. Additionally, p2 capabilities are specified to be able to configure non-code dependencies that can be interpreted by the p2 resolver. Non-modal Install dialog The Install dialog available via Help > Install New Software... is now non-modal, so that you can do something else while waiting for the catalog to be fetched. Progress reporting in the installation dialog When you select an update site, the installation dialog now provides progress feedback during the download of the software catalog. Tracing honors -consoleLog When the -consoleLog runtime option is specified on the command line, the Eclipse debug tracing framework will send trace messages to System.out too (typically back to the command shell, if any). This is especially handy when debugging Eclipse from Eclipse with tracing enabled, so no extra trace file needs to be opened to check tracing output, and tracing output appears together with all other debug output in the Console view. Source-incompatible change in org.eclipse.equinox.common requires Java 8 BREE for some dependant plug-ins org.eclipse.core.runtime.ListenerList now overrides Java 8 default method Iterable#spliterator() and provides stream() and parallelStream() methods. Thus it exposes Java 8 types in public API. This is a source-incompatible change that requires all plug-ins using ListenerList to have a minimum BREE set to JavaSE-1.8 if they want to properly compile against Oxygen and forthcoming versions (i.e. versions in the [3.9,4.0) range). The type java.util.stream.Stream cannot be resolved. It is indirectly referenced from required .class files. Note that this change is only required when using org.eclipse.core.runtime.ListenerList. However, now that some Java 8 types are being exposed in the public API, similar changes may be done in other API types. Finally, note that this change is binary compatible. Any previously compiled bundle depending on org.eclipse.equinox.common within the [3.0,4.0) range will continue to work as before. SWT requires 1.8 Java runtime The SWT projects are now compiled at 1.8 compliance level. As a result, a Java runtime of 1.8 or above is required to run SWT applications. Lambda as SelectionListener The SelectionListener interface in SWT was enhanced to provide the SelectionListener#widgetSelectedAdapter(Consumer<SelectionEvent> c) and SelectionListener#widgetDefaultSelectedAdapter(Consumer<SelectionEvent> c) static helper methods that accept lambdas and method references as listeners. Lambda as KeyListener The KeyListener interface in SWT was enhanced to provide the KeyListener#keyPressedAdapter(Consumer<KeyEvent> c) and KeyListener#keyReleasedAdapter(Consumer<KeyEvent> c) static helper methods that accept lambdas and method references as listeners. Image#getImageData(int zoom): Returns an ImageData for the given zoom level. Note: this API is mainly intended to be used by custom implementations of ImageDataProvider that draw a composite image at the requested zoom level based on other images. For custom zoom levels, the ImageData may be an auto-scaled version of the native image and may look more blurred or mangled than expected. New APIs for Table header colors Support for custom table header foreground and background colors has been added on Mac, Windows and Linux (GTK3) platforms. New APIs for Tree header colors Support for custom tree header foreground and background colors has been added on Mac, Windows and Linux (GTK3) platforms. Table and Tree header styling via CSS You can now style the SWT table and tree headers via the CSS engine. Apply GTK+ CSS at runtime GTK+ CSS can be applied at runtime via Widget#setData(String, Object) using org.eclipse.swt.internal.gtk.css as key. Note: Works on GTK+ 3.20 or later only. The following CSS snippet gives the effect below. Note: Above implementation is a custom paint operation that applies to all Button types except SWT.ARROW on Windows. 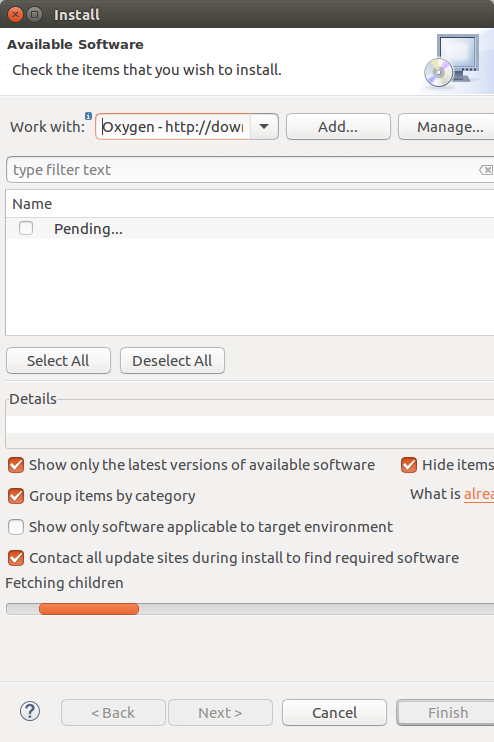 SWT spies separated from Tools plug-in The Sleak and Spy views are now available in a new plug-in, org.eclipse.swt.tools.spies. They were previously part of org.eclipse.swt.tools, which depends on JDT. With the new spies plug-in, it is now possible to use the spies without depending on JDT. This makes it especially suitable for inclusion in target definitions and Eclipse RCP applications. Image#getImageDataAtCurrentZoom() and Image#getBoundsInPixels() are deprecated The Image#getImageDataAtCurrentZoom() and Image#getBoundsInPixels() APIs didn't serve the purpose in an environment having multiple monitors with different DPIs, hence they were deprecated. Image#getImageData(int zoom) is the replacement API for Image#getImageDataAtCurrentZoom(). AccessibleTableListener­#getCaption(..) deprecated The AccessibleTableListener#getCaption(AccessibleTableEvent) method corresponds to the IAccessibleTable2::caption method, which has been deprecated by the IA2 accessibility specification implemented by SWT Accessibility. Instead, an IA2_RELATION_LABELED_BY relation should be used to create a relation between the table and its caption. AccessibleTableListener­#getSummary(..) deprecated The AccessibleTableListener#getSummary(AccessibleTableEvent) method corresponds to the IAccessibleTable2::summary method, which has been deprecated by the IA2 accessibility specification implemented by SWT Accessibility. Instead, an IA2_RELATION_DESCRIBED_BY relation should be used to create a relation between the table and its summary. Composite#changed(Control) deprecated The Composite#changed(Control) method has never been used in the Eclipse Platform, and the method never had a well-defined purpose. It is now deprecated. Calling it is now equivalent to calling Composite.layout(Control, SWT.DEFER).